The Pokémon Company International today unveiled a new TV commercial that will air during Super Bowl 50 on Sunday, February 7. The ad, shot in Rio de Janeiro, explores ambition, drive, and training, concepts that every Pokémon Trainer is familiar with. It celebrates the millions of Pokemon fans around the world who will enjoy identifying all of the hidden Pokémon references in the ad. It ends with a call to action for all those who strive to achieve their dreams: Train On. A 30-second version of the ad will be aired at the beginning of the third quarter of Super Bowl 50, but you can check out the extended version below. Here's what J.C. Smith, senior director of Consumer Marketing at The Pokemon Company International, had to say in a statement. "For 20 years, the Pokémon world has inspired fans to train hard and have fun. This ad is reflective of that passion, and I can't think of a bigger stage to share this story than the Super Bowl." Made by Omelet, a Los Angeles-based creative agency, the Pokémon 20th TV commercial will also be featured in the upcoming CBS special, Super Bowl's Greatest Commercials. This annual show, which will air on February 2 at 8:00 P.M. ET, revisits fan-favorite commercials from past Super Bowls and also gives a behind-the-scenes look at the making of the Pokémon Super Bowl advertisement. The ad is part of a yearlong campaign celebrating 20 years of Pokemon. First introduced in Japan in 1996 with the video games Pokemon Red and Pokemon Green for the Nintendo Game Boy system, Pokémon has delighted fans of all ages around the world for two decades. With more than 275 million video games sold worldwide, 21.5 billion TCG cards shipped to 74 countries, and an animated series spanning 18 seasons, Pokemon is one of the most successful entertainment brands in the world. More details can be found at Pokemon.com/20. Fans visiting the site throughout the year will find information about monthly Mythical Pokemon distributions, retail events, special products, messages from some of Pokemon's biggest fans, and the upcoming Pokemon Photo Booth app. Pokemon . Twenty years. Train On. 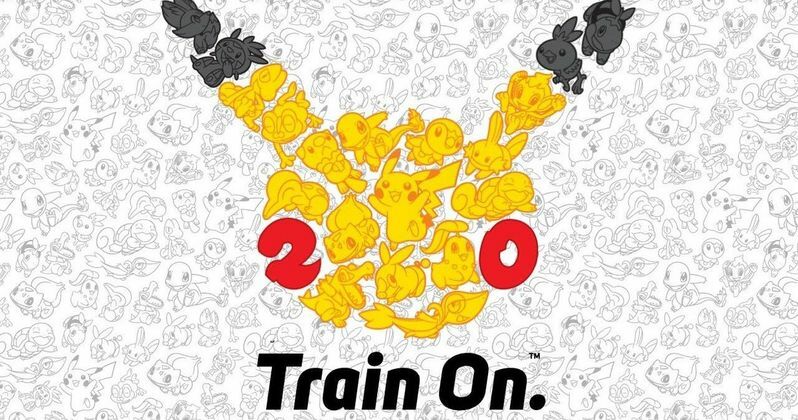 In addition to all of these great ways to celebrate 20 years of Pokemon, there is much more to come in 2016. This spring, Pokkén Tournament (Pokemon.com/PokkenTournament) for the Wii U console will bring Pokemon to life in a way never seen before: Pokemon battle in direct response to the player's actions. Pokemon GO (Pokemon.com/GO), a ground-breaking mobile game that will encourage fans to search far and wide in the real world to discover Pokemon , launches later this year. To coincide with Pokemon Day on February 27, Nintendo will also make some of their best-selling Pokémon amiibo available again, at select retailers only. Fans should be on the lookout for Charizard, Jigglypuff, Greninja, and Lucario to join Pikachu at stores nationwide. Beginning in January and continuing throughout the year, 12 full-length Pokemon feature films will be available for digital download from iTunes, Google Play, and Amazon. Among the releases will be digitally remastered versions of Pokemon: The First Movie and Pokemon The Movie 2000: The Power of One and Pokemon 3: The Movie. In addition, Pokémon TV, available on Pokemon.com, Roku, Chromecast, and Amazon Fire platforms, will feature one film title per month to align with other Pokemon brand activities. The first three Pokemon films will also be available in both DVD and Blu-ray formatted bundles from licensee Viz Media. A 48-page interactive digital reader will accompany Pokemon: The First Movie and can be viewed on any device that supports iBooks, including Mac, iPad, iPhone, and iPod touch. The Pokemon Company International, a subsidiary of The Pokemon Company in Japan, manages the property outside of Asia and is responsible for brand management, licensing, marketing, the Pokemon Trading Card Game, the animated TV series, home entertainment, and the official Pokemon website. Pokemon was launched in Japan in 1996 and today is one of the most popular children's entertainment properties in the world. For more information, visit Pokemon.com. Take a look at the Super Bowl 50 ad below, and stay tuned for more updates on Pokemon's 20th Anniversary celebration.